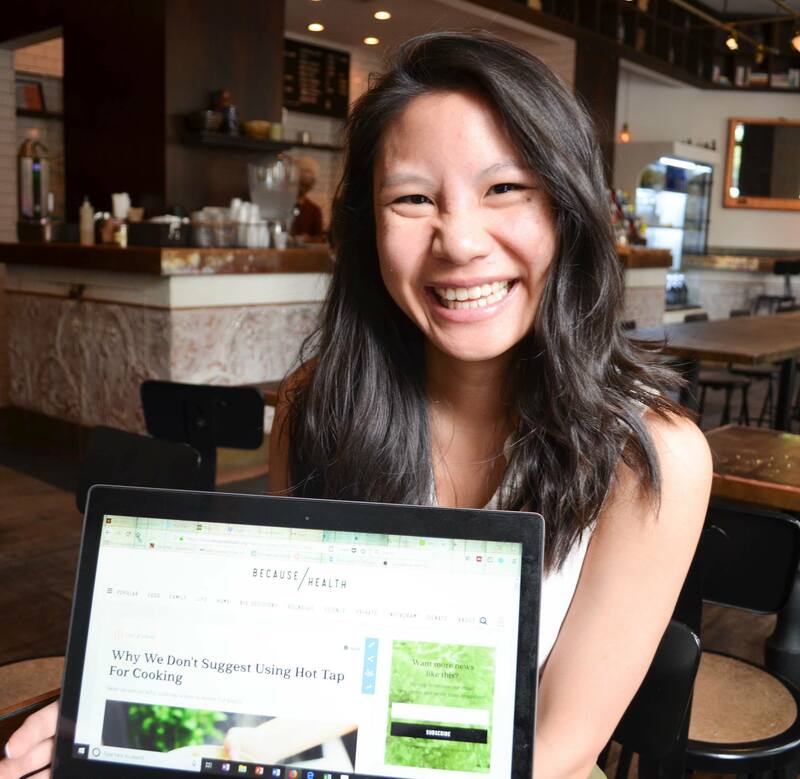 Harnessing her passion for the arts, MPH student Erica Chung translates public health topics and science findings into language that everyone can understand. While scientists excel at communicating with each other, there are still very few communication channels between scientists and the general public. This situation has contributed to a slow decline in public trust in science over the last decade. For anyone without a science background, concepts like the connection between infectious disease and climate change or the necessity of vaccination can seem like a different world with their own set of terminologies and ever-changing research findings. Coming from a restaurant-owning immigrant family like mine, where anyone who did go to college majored in economics and not science, just explaining what I learned in my introductory biology class could sometimes take hours, let alone a more complex topic like disease control. Here’s where the power of communications comes into play. It is crucial to make science engaging, approachable, and accessible because science and public health topics can seem so far removed from everyday life. Informing communities creates an understanding of the need for science and how science is relevant to their lives. I know this first hand from accompanying my grandparents to their doctor’s visits. The medical terminology thrown around during each visit is enough to scare anyone away, and frequently, my grandparents would ask me to explain what happened after each visit while complaining that they could never trust the doctor because they could not understand what had been discussed during their appointments. My grandparents expressed their discouragement because a stream of unintelligible language flowed from the doctor’s mouth, and aside from what I could tell them, they did not have the resources to rectify their lack of health knowledge. It was this experience that inspired me to pursue my summer practicum with Collaborate on Health and Environment, a Bolinas, California-based nonprofit, where I assisted with the launch of their health communications website, Because Health. Over 13 weeks, I conducted literature research on relevant environmental health issues and translated it into easy-to-understand language. Weekly throughout my practicum, my supervisor and I would brainstorm a list of topics that are relevant to mental and physical health, but which are difficult to understand. These were topics such as lead poisoning, the safety of chemicals like phthalates, bisphenol A, and per- and polyfluoroalkyl substances, as well as concerns over respiration of volatile organic compounds. I researched each topic, pulled out the important points, and translated the scientific information into language that was easy to grasp. For instance, it is a little-known fact that stain resistance in furniture is due to polyfluorakly substances, otherwise known as PFAS. PFAS carries multiple negative health consequences, including disrupting how the hormones in your body are supposed to properly function. Digital media is one of the primary ways that we get our information, and because of the way social media bombards us, it’s crucial that we frame facts in a way that is accurate and easy to understand. What is undeniable, though, is that successful digital media channels of health merge science with art. In my case, it was a passion for photography and baking that gave me the skills to successfully make public health topics easy to grasp for the general public. While my time at Mailman gave me the scientific knowledge, my hobbies were what allowed me to create content that would connect with my audience. Whether it was choosing photos readers would find most eye-catching or knowing which “hooks” to catch readers’ attentions from running my own food blog, it was these unexpected skills from my more creative hobbies that resulted in high audience engagement. My hope is that in the future, we, as scientists, will do more to help the general public understand the research we are conducting, in a way that speaks to them in everyday language. Especially in light of the current administration, I hope society sees science not as an alien enterprise, but as a collaborative relationship between researchers and the public. Science and public health should not be subjects that place scientists and society at odds. Science cannot thrive without societal support, and society cannot thrive without scientific knowledge that helps us treat medical ailments, keep food safe, or stay away from toxic compounds. Scientific research is crucial for public health, but individuals who are willing to communicate the findings to the general public are the key to increasing public trust and support for the scientific community. Erica Chung is a second-year MPH student in Environmental Health Sciences at Columbia Public Health. She received her BS in Biology/Biological Sciences from the University of Minnesota.